Our good friends Brandon and Christine are trying to have a baby, and the other day Christine was asking me some questions about cloth diapers. She is really interested in cloth diapering when they have a baby so I told her all I know about it. Most of her questions were things a bunch of different people have asked me, so I thought I would share my answers. 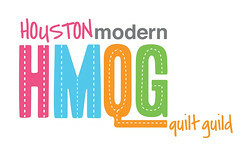 Hopefully this will help anyone out there interested in cloth diapering. Q: Do the diapers ever leak? A: Yes. Especially now that William has gotten older, we have occasional wetness leaks because he has tinkled a bit too much for the diaper to handle. Most of the time it is no big deal and he just gets a quick change. The great thing about cloth diapers is that you may have some wet leaks, but I have never once had a poop explosion problem like you normally see with disposables. The elastic around the legs and waist is secure enough that even William's heftiest number 2's have not busted through. Q: What about the poop? A: When it comes to poop, you have two options: invest in a diaper sprayer, or use flush-able liners. I've done both, but I am partial to the flush-able liners. They look a bit like a dryer sheet (minus the residue) and they allow wetness to pass through, but they catch the poop. That way you just plop it in the toilet. I really love using the GroVia brand bioliners. They come on a roll and they are a perfect size. We used a diaper sprayer for a little while, but I found that it was not as effective as the liners. It is difficult to regulate the spray pressure, and I on numerous occasions sprayed poop all over the bathroom. Plus you can't take the diaper sprayer with you when you go out in public. Q: Are they hard to change? A: Nope. If you can change a disposable diaper, you can change a cloth diaper. It does take some getting used to snapping it tight enough. Sometimes it might seem like you are squeezing your little one, but I promise that is how they are supposed to fit. Now that I have been doing cloth diapers for so long, I have issues changing a disposable diaper. Q: How often do you do laundry? A: Twice a week, on Wednesdays & Saturday or Sunday. We have enough diapers to last us about three days before needing to do laundry. Basically the bigger your diaper stash, the less often you will need to do laundry. Q: What is your favorite brand/type? A: There are TONS of different cloth diaper brands, and I have only tried 3 of them: Fuzzibunz, GroVia, and Rumparooz. By far my favorite brand are the Fuzzibunz. They are a pocket diaper, they are super absorbent, and they fit a bit slimmer. Rumparooz is my go to brand for nighttime. They are also a pocket diaper and they are a bit bulkier, but super absorbent for overnights. They claim that you can use the same diaper from birth to potty-training, but I found the Rumparooz too bulky when William was tiny. They also make a diaper called Lil Joey's and they are perfect for a newborn, plus they have a special snap down so that the diaper doesn't hit the umbilical cord. The GroVia work alright for during the day, but they are not my top choice. They are what is called a Hybrid diaper, and they use a cover and a soaker pad insert. Ideally you would just change the insert with each diaper change, but often times the entire thing gets wet or poopy. GroVia also makes an all in one newborn diaper and I actually really liked them for when William was tiny. Since William is in the process of potty-training I don't want to invest in more diapers, but I definitely will stock up on Rumparooz and Fuzzibunz for baby #2 (and #3). 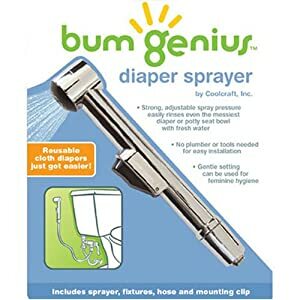 I have heard good things about Bummis and bumGenius, but I have never personally used them. A: Cloth diapers can be pricy. A Fuzzibunz diaper currently retails at $19.95, Rumparooz is at $23.95, Lil Joey's at $29.95 for a two pack, and GroVia are at $16.95 for a cover and $17.95 for a 2 back of soaker pads. But the benefit of cloth is that most of your cost is a one time investment. Plus you can sell your stash when you are done using them; I wouldn't try reselling your disposables :). Fuzzibunz has this great inforgraphic on their website comparing the cost of cloth (using Fuzzibunz) vs. the cost of using disposables. 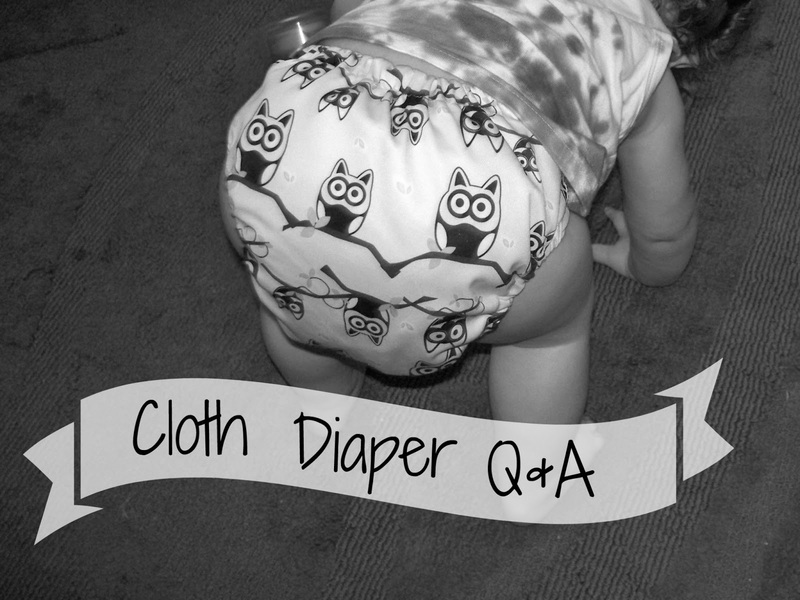 Q: Why do you cloth diaper? A: I cloth diaper for a number of reasons. Before William was born I wanted to cloth diaper him because of environmental and financial reasons. On paper they just made sense. So I started my stash and got ready to cloth diaper from the very beginning, I watched videos on YouTube, read blog after blog, and went to a local shop that sells them. When William was born he worn cloth for a little while, but my stash was so small at that point in time and the disposables won because of how "easy" they were. Now I cloth diaper for William's health. When he was about 6 or 7 months old, he started getting terrible blistering diaper rash. I tried every brand of disposable diapers on the market and everything gave him a rash. One day I was changing his diaper and he burst into tears screaming because of the pain from the rash. That was my turning point, since that day he has always been in a cloth diaper and has almost never had a rash. Here William is wearing a Lil Joey newborn diaper :) They fit his tiny little bottom perfectly. And here he is wearing the GroVia newborn diaper. Here he is wearing a GroVia cover and insert. The GroVia diapers come in lots of cute patterns. These owls are my favorite. 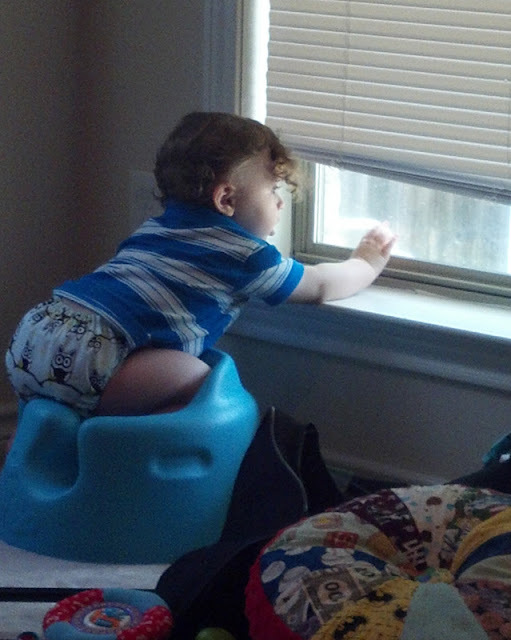 This is William on his 1st birthday wearing a Fuzzibunz One Size Elite diaper. I really hope this post helped anyone who is/was on the fence about cloth diapering. I honestly never thought that I would be cloth diapering, but I don't think I would diaper my babies any other way. I LOVE that owl diaper! I cloth diaper as well. to. So far my favs are SunBaby & Charlie Banana! poo right now, since I am breastfeeding! I just toss the diaper, poo and all, in the washer. I only have enough diapers to was every other day! Cloth diapering is something I have thought about, thanks for sharing about them :) I just found your blog through the blog hop and am a new follower. I am currently 9 weeks, and decided to cloth diaper! I am sooo excited! I love reading the blog posts and getting new info! Thanks so much!! !